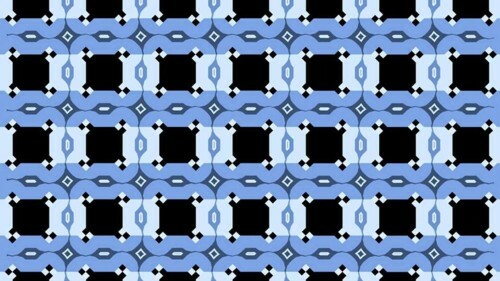 The blue stripes do not slope. They merely look as if they slope. I found this Here. I recommend following that link and scrolling down to the .gif there, which proves that everything above really is horizontal. The trick still works, even if not as strikingly. Not that I care much about the details. That things like this work is what interests me. Commenting on the previous illusion, Commenter Alastair recommended this book. It’s now on its way to me.